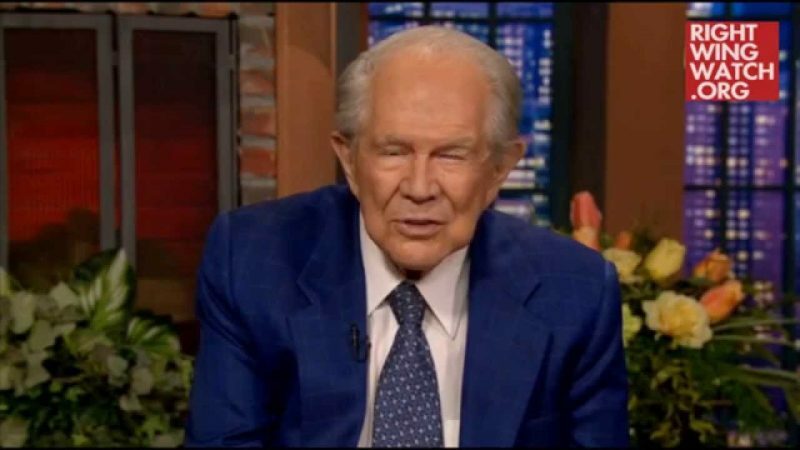 Televangelist Pat Robertson has invited presidential candidates to a series of candidate forums at Regent University, the school he founded and for which he still serves as dean. The first to take him up on the invitation is Jeb Bush, who will speak later this month at a forum that will include an interview with Robertson and a session moderated by Jay Sekulow, the head of the Regent-affiliated American Center for Law and Justice (ACLJ). Jay’s son, Jordan Sekulow, is the former executive director the ACLJ and is Bush’s liaison to the Religious Right. 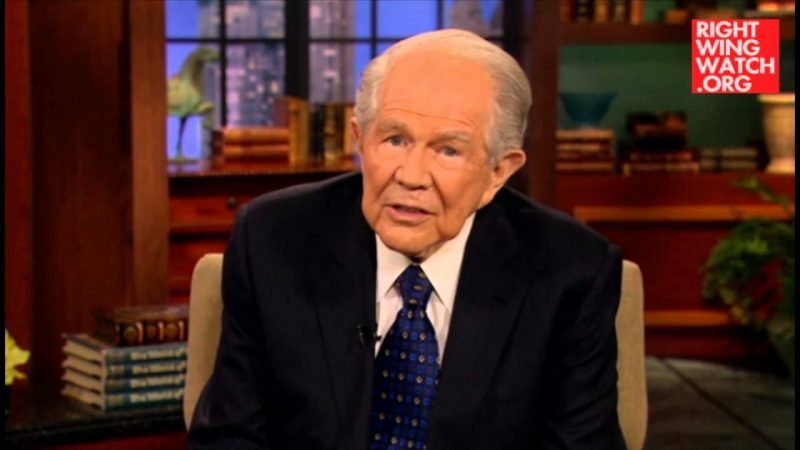 While Robertson has said that he believes Bush and John Kasich should team up for a “dream ticket” in 2016, the former Florida governor should perhaps be wary of Robertson’s support, as the televangelist once assured Mitt Romney that God told him that he would defeat President Obama and have a successful two-term presidency. There are also other reasons to be wary, as Robertson has built a career out of being one of the most intolerant voices in America. 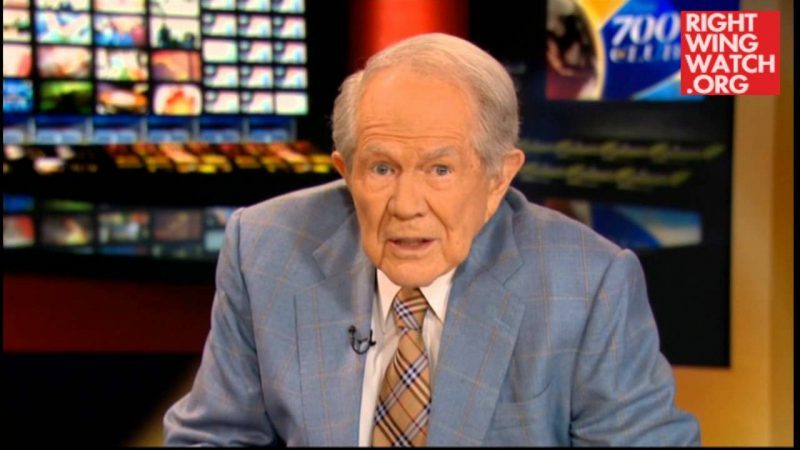 Robertson has blamed gay people for natural disasters, a possible meteor strike, problems in the stock market, the terrorist attacks of September 11, 2001, and America’s ultimate destruction. 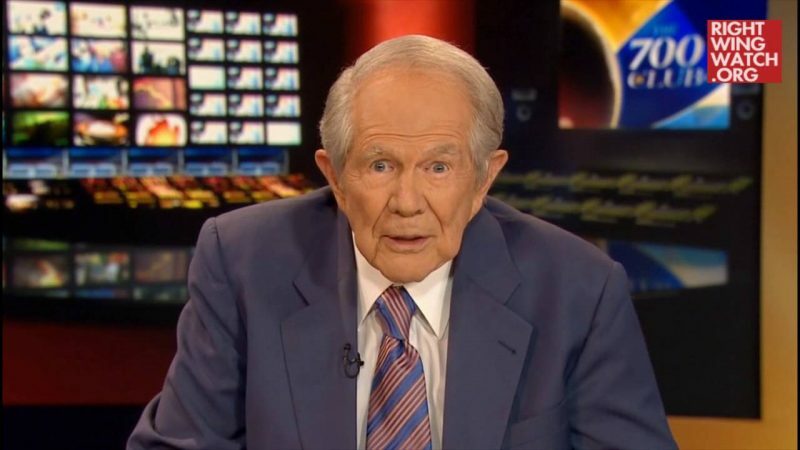 He also believes that gay people wear special rings that cut people’s fingers in order to spread HIV/AIDS and compares them to terrorists, warning that they are carrying out a Satanic agenda. 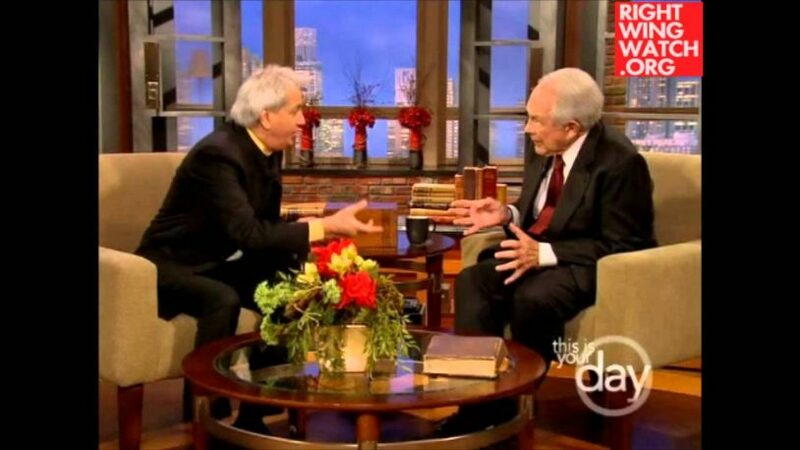 The televangelist has even gone on record claiming that the devastating 2010 Haitian earthquake was God’s judgment for a purported colonial-era pact between Haitians and Satan, that Hurricane Katrina was divine punishment for legal abortion and that the dozens of deaths from tornadoes in 2013 were the result of a lack of prayer. Bush may also want to freshen up on Robertson’s views on feminism, evolution, public schools, yoga, adoption and divorce.